An offset account is a bank account linked to your home loan which operates just like an everyday banking or savings account. You will generally have ATM access to your account and be able to make internet banking transactions and payments like any other savings account. An offset account is a feature that can be added to a variable rate home loan, but not all loan products will have this feature. 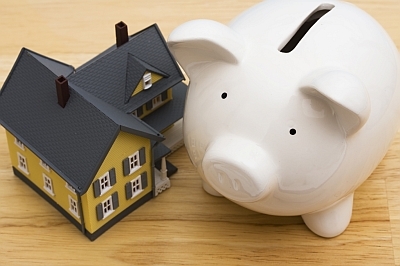 When you borrow to buy a home you are charged interest on the amount that you borrow. If you have any cash in the bank and you earn interest it will be most likely be at a lower interest rate than your home loan and this interest income will be taxable. With an offset account you are charged interest on the home loan balance minus the amount in your linked offset bank account. The more money you have in your linked offset bank account, the less interest you pay on your home loan. Having your salary paid directly into the offset account – having your employer send your pay directly to your offset account will immediately reduce the interest payable on your home loan. The interest payable on your home loan is generally calculated on a daily basis on the amount you owe on that day. At the end of the month the lender totals up the interest payable from each day in that month and charges you a monthly interest amount. You don’t need to have a lot of money in an offset account in order to save on interest. Over the life of your loan even small amounts in an offset account can potentially save you hundreds or thousands in interest expense. Using your credit card for everyday purchases – You can take advantage of your interest-free period on your credit card by using the card to pay for your expenses during the month and paying the balance in full from your offset account before the due date each month. This means that you have more cash sitting in the offset account for longer. While you will save interest and may gain reward points by using the credit card more frequently, the strategy only works if you are disciplined and can pay your credit card balance in full each month. Investing surplus cash in an offset account instead of a savings account or term deposit – Unlike normal savings and term deposit accounts, offset accounts do not pay any interest. For an offset account to be worthwhile, the interest rate on your home loan will need to be higher than the interest received from your savings or cash investments. In the current low-interest rate environment, you may be better off using an offset account to invest your surplus cash in as the interest savings it will provide on your home loan is likely to be more than the interest you would earn from a normal savings account. For example, you have savings of $20,000 and your home loan interest is currently 7.5%. If you keep the money in your online savings account you will earn $73.33 in interest each month (before tax). If you put this money in your 100% offset account, you would save $125 in home loan interest each month. That’s a saving of $50 per month, ignoring the tax you would also save. Offset accounts are not suitable for everyone and they are generally only available for variable interest rate loans. So if you have a split loan (meaning part of your home loan is on a fixed interest rate and part is on a variable interest rate), you will only be able to link the offset account to the variable part. If you have a fixed home loan then you may need to wait until the fixed period of your loan expires as breaking a loan or making changes to an existing loan can sometimes incur significant exit and penalty costs. If an offset account isn’t the right option for you, then you can make extra repayments to reduce the home loan which will increase your equity in your home and help to reduce your loan repayments. If your loan has a redraw facility, you may be able to access these additional repayments if needed down the track. If you are interested in an offset account, you should seek professional advice to make sure that it is an appropriate strategy for your situation and to ensure you are fully aware of the implications, fees and costs as well as any risks involved before making a decision.